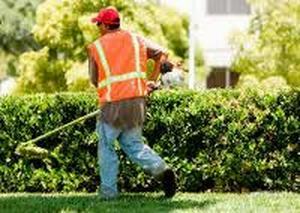 Let our Lawn and Landscaping crews make your home or business look Beautiful! We specialize in fast, affordable quality. We provide multiple services to accommodate all of your outdoor needs. FREE NO OBLIGATION ESTIMATES! Cutting, Edging, Pruning, Weeding, Mulch, Landscaping, Paver Patios, Seeding, Sod, Tree Trimming & Removal, Fertilization, Aeration, Gutters, Topsoil & Stone Delivery, Grading, Excavations, Trenching Septic Systems Installed & Repaired General/Clean-up Labor and Much More! Patios, Walkways, Driveways, Retaining Walls, Pool Decks and More! Let Island LawnCare Build your design or We can design it for you! HARDSCAPES - Pavers & Stone are a great way to add elegance to your Entrance Ways, Pools & Outdoor Living areas. Our Hardscape Crews can build ANY design with your choice of products. Outdoor Kitchens, Fire pits, Ponds… . You name It, We Build It Big or Small The Best prices in the Business! CONTRACTORS: Call us… Our Resources are UNLIMITED! We Supply When you Demand! Our Services Include: Site Labor/Clean-ups Street Sweeping, Silt Fence SWMP’s, SCE’s, Storm Drains Septic Systems, Excavations Building Pads, Parking Pads Backfills, Fine Grades Seeding, Sod, Trenching Stone & Topsoil Delivery Snow Removal and More!